Lakeside dining at Stowe restaurants? Only at the Commodores Inn! At the Lighthouse Bar & Grill, you will enjoy good food at a good price, and one of the most unique views in Stowe: our lake. Open for breakfast and dinner, our dining room is cozy and casual. The menu features traditional New England favorites and a variety of soups, salads, entrees and vegetarian fare to please all palates. 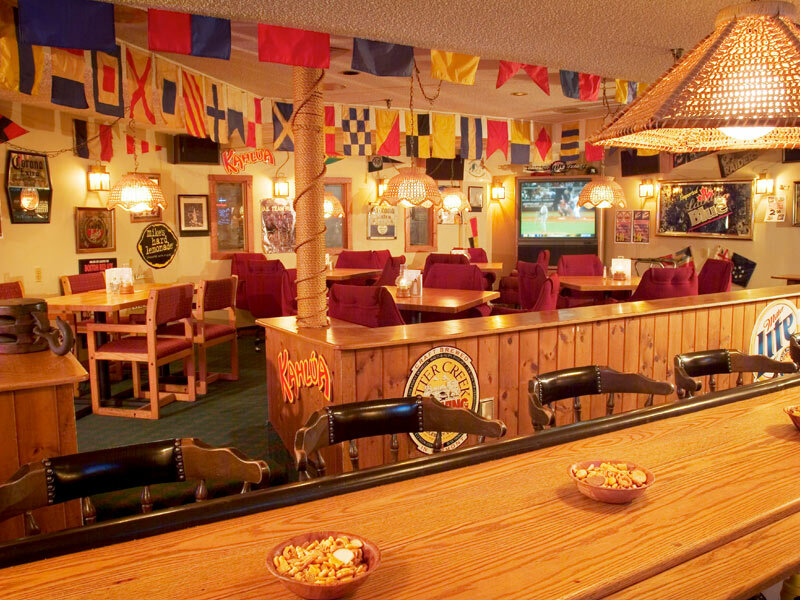 The Sports Lounge is the perfect place to unwind with a cocktail, grab a quick bite of pub fare, or chat it up with locals. And, if you’re a guest at the Commodores Inn, you’ll love the convenience of having the best restaurants in Stowe VT right at your doorstep. Please note, the Lighthouse Bar & Grill is closed during the off-season (early spring and late fall). At these times, we serve a complimentary continental breakfast to guests. The Sports Lounge is open daily and serves food in the evening. We are always happy to recommend nearby Stowe restaurants for you to enjoy. On the menu: A few of our favorite things. Have a ball: Host your party here. We welcome wedding receptions, anniversaries, birthdays, reunions, company gatherings, holiday celebrations, and parties for any other occasion. Our lakeside dining room is unique to other Stowe restaurants, and is bright and inviting. It seats up to 110 comfortably, and has a dance floor. 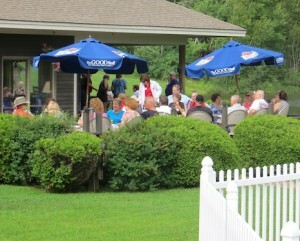 Our large outdoor deck is the perfect spot for an open-air fete. We offer a variety of menu choices, and will fully customize to suit you. Contact Carrie for all details!